Can You File Married Jointly if Your Wife Does Not Work? 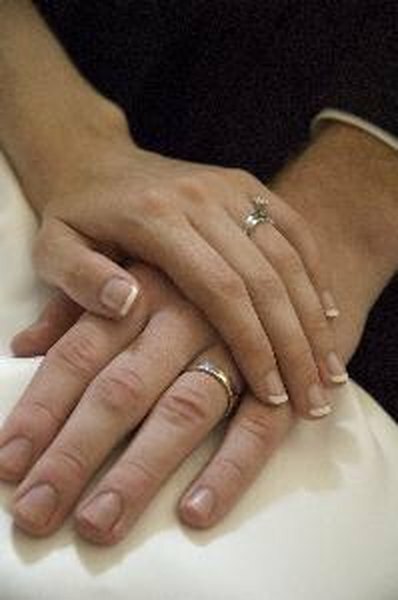 Married taxpayers often benefit from filing a joint tax return. You and your wife can file a joint federal income tax return even if she doesn’t work. Although each couple’s tax situation is different, you can generally claim more deductions and credits by filing a joint return. In most cases, your tax liability will be lower. Although your wife must file a tax return if she has unearned income that exceeds the limit the IRS allows, filing a joint rather than separate return can be advantageous to you both. All married couples can file married filing jointly regardless if one spouse works and another doesn't. Even if your wife doesn’t work, she might still have taxable income. The gross income you calculate to arrive at the taxable income you report on your tax return includes both earned and unearned income. Earned income is the salary, wages, commissions and tips that a taxpayer earns. It also includes bonuses, sick pay and unemployment benefits. Any unearned income you or your wife receives is also added to your gross income. Unearned income includes business income, interest you earn on savings, income from investments, alimony payments, rents, royalties, distributions from retirement accounts and profits from assets you sell. Both you and your spouse must agree to file a joint return. One spouse can't file as married filing jointly and the other as married filing separately. Because you and your spouse must sign a joint return, you are both responsible for any tax liability or penalties you owe. On the other hand, if your wife had income tax withheld from her unearned income or she qualifies for certain credits, it can get you a tax refund. Filing a joint tax return when you are married provides several benefits. First, you can take advantage of a number of credits and deductions that you can’t claim if you file a separate return. In addition, the government gives the highest standard deduction to taxpayers using the married filing jointly status. If you choose to file a separate return, the standard deduction is half of what you would get filing a joint return. This can make a big difference in the amount of your income subject to tax. A lower taxable income can also qualify you for more tax credits. One of the most important advantages to your wife if she doesn’t work is that by filing jointly she can contribute to an IRA account. One of the biggest reasons for filing a joint return is to pay less tax. A joint return works by combining you and your spouse’s income and deductions on a single return. Usually, filing jointly reduces the tax liability for couples with one unemployed partner. If you earn a decent income but your wife has no earnings from employment to report, your income gets taxed at a lower rate. However, if your wife has minimal income from sources other than employment, but that income is low, she may be able to write off more of the expenses than she could on a joint return. For example, a spouse with considerable medical expenses can itemize them as deductions. However, both of you must itemize deductions if you file separate returns. Amber Keefer has more than 25 years of experience working in the fields of human services and health care administration. Writing professionally since 1997, she has written articles covering business and finance, health, fitness, parenting and senior living issues for both print and online publications. Keefer holds a B.A. from Bloomsburg University of Pennsylvania and an M.B.A. in health care management from Baker College. What Status Can Married Persons With Dependents Claim on Their Taxes? Can You Make a Roth IRA Contribution If You Have No Earned Income? Can a Husband's Earned Income Be Deposited in a Wife's Roth IRA? Can I Contribute to an IRA With No Earned Income? Do You Have to Be Legally Married to Claim Your Boyfriend on Your Taxes? Do You File Jointly if Your Spouse Did Not Have Reportable Income?